Elvin Ayala – known affectionately as “The Pride of New Haven” – plans on beating crosstown rival Israel “Pito” Cardona of Hartford, Conn., so convincingly that Cardona’s fans might reconsider their allegiance. “People from Hartford are going to want to move to New Haven,” Ayala quipped. Truth is, there’s more than just hometown pride on the line when Ayala and Cardona lock horns Friday, July 29th, 2011 in the co-main event of “Heat Wave,” presented by Jimmy Burchfield’s Classic Entertainment & Sports at the Mohegan Sun Arena in Uncasville. The two are fighting for the vacant WBC USNBC middleweight title. “I’m taking the belt home,” said Cardona, who hasn’t fought since losing to Hector Camacho Jr. in 2009. 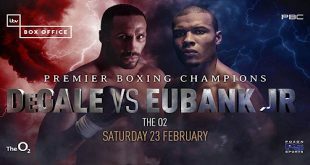 Neither fighter in next month’s co-main event is a stranger to boxing’s biggest stage; Ayala (23-5-1, 11 KOs) fought current WBA super middleweight champion Arthur Abraham for a world title in 2008 while the 36-year-old Cardona (36-10, 28 KOs) is a former two-time world champion in the super featherweight and light welterweight divisions, winning IBO super featherweight title in 1995 with a unanimous-decision victory over Jeff Mayweather, and then capturing the organization’s light welterweight belt two years later by knocking out Steve Larrimore in Connecticut. 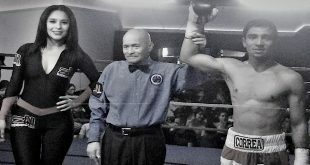 While Ayala, 30, is in the midst of what could be his final run at another world-title opportunity, Cardona is taking what will surely be his last shot at adding a fifth title to his own resume; in addition to the two world championships he won in the ‘90s, Cardona is also a former USBA and NABF lightweight champion. Though the records show Cardona lost a unanimous decision to Paul Spadafora in 1999 for the IBF lightweight title, Cardona maintains he’s never lost a world-title bout on a level playing field. 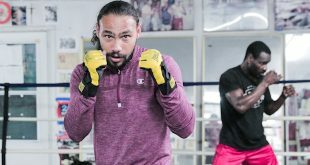 Cardona also questioned the integrity of the IBF, which absorbed a serious blow in 1999 when former president Bob Lee resigned in the wake of racketeering and bribery charges, and claims he was “robbed” of a potential third world title. “That’s another story for another time,” Cardona said. “Right now, I’m getting another title shot and it’s made me 10 times more motivated. I don’t lose title fights. You want me to fight for a title? Hell yeah! I’m soaking wet right now; I just worked out. I’m very excited. This is going to be a war. These days, facing Ayala is no easy task regardless of age. Since signing a promotional contract with CES, Ayala is 3-0 in 2011, including back-to-back knockout wins over Joe Gardner (April 1) and George Armenta (May 6). Working with newly-hired trainer Peter Manfredo Sr. has had a positive impact on Ayala’s preparation for this upcoming bout as he looks to continue his climb to the top of the rankings in the middleweight division. Cardona’s recent record is somewhat deceiving; while he’s lost his last four fights, he’s done so against elite competition, including a knockout loss to red-hot welterweight prospect Mike Jones (25-0, 19 KOs) and a unanimous-decision loss to Camacho Jr. (53-4-1, 28 KOs) for the WBC Caribbean Boxing Federation title. Ayala is ignoring the numbers and heeding the advice of his peers. The undercard of “Heat Wave” features undefeated Polish heavyweight Mariusz Wach (24-0, 12 KOs) starring in the second half of the co-main event, along with Pawtucket, R.I., middleweight Thomas Falowo (3-0, 3 KOs) facing Russ Niggemyer (2-2, 2 KOs) of Hilliard, Ohio. 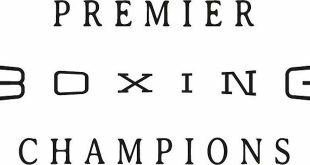 New Haven welterweight Edwin Soto (6-0-1, 2 KOs) battling Jose Duran (6-5-2, 3 KOs) of Sarasota, Fla.; undefeated heavyweight Artur Spzilka of Poland (5-0, 3 KOs) facing Tobias Rice (3-3, 2 KOs) of Macon, Ga., and New Bedford, Mass., welterweight Johnathan Vazquez (4-0, 3 KOs) taking on Augustine Maurus of Lawrence, Mass., in Maurus’ debut. Cruiserweight Jose Torres of Worcester, Mass., will also make his debut, and super middleweight Keith Kozlin (6-2, 4 KOs) of Warwick, R.I., will face Woonsocket’s Reynaldo Rodriguez (5-2, 2 KOs) in a six-round intrastate showdown. All fights and fighters are subject to change. Tickets for “Heat Wave,” priced at $40, $65 and $105, can be purchased by calling CES at 401.724.2253/2254 or calling Ticketmaster at 1.800.745.3000. Fans can also purchase tickets online at www.cesboxing.com, www.ticketmaster.com, or at the Mohegan Sun Box Office.